January 19, 2017 in Bible study // Marina Magluyan shared her post. 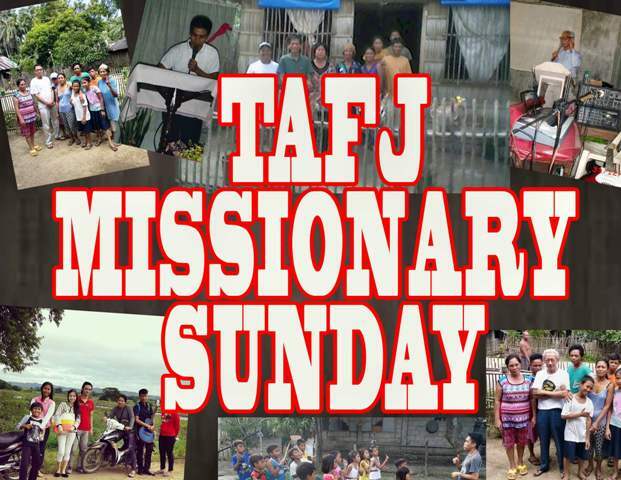 Every 3rd Sunday of the month is Missionary Sunday, when we acknowledge the labor of our All For Jesus Missionaries who go to the hinterlands and boondocks to preach the Gospel of our Lord Jesus Christ. We support them through prayers and by digging deep into our pockets to underwrite their missionary efforts. 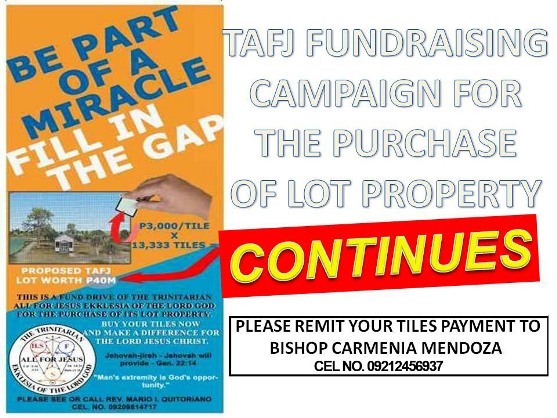 BE PART OF A MIRACLE! Copyright © 2019 Trinitarian All For Jesus Ekklesia Of The Lord God, Inc.	Powered by WordPress.com.